A professional shredding service eliminates negligent document disposal practices that can lead to a security breach. From using locked shredding containers and GPS-tracked mobile shredding vehicles to employing background screened drivers, your information is always protected. Removing staples and paperclips from your files and separating them into easily-shredded portions takes several minutes. This doesn’t even take into consideration the time spent emptying your shredder’s receptacle and fixing unexpected paper jams. A shredding service helps you stay productive. Document disposal is as easy as depositing them into a locked shredding container. Maintaining an in-house shredding program is expensive. In addition to purchasing office shredders, there are the added utility and maintenance costs required to operate them. 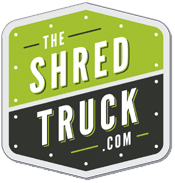 A shredding service eliminates skyrocketing electricity bills and the need to buy shredding bags and pay for repairs or purchase new units when your shredders break down. 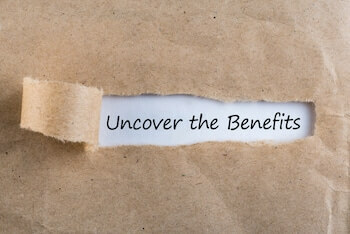 An office crammed with old and expired documents dampens employee morale and increases your liability exposure. A shredding service helps you purge unwanted paper records efficiently and securely. There’s an alphabet soup of regulations that require documents containing sensitive customer information be destroyed rather than merely disposed of. A shredding service makes sure your information is destroyed in compliance with state and federal privacy laws. Green business practices and corporate social responsibility go together. A shredding service contributes to your green business credentials by making sure your shredded paper is responsibly recycled. After your documents are shredded, the shredded material is transported to a trusted recycling facility where it’s baled and pulped. The recycled paper fiber is used in the production of a variety of business and consumer products, including tissue, office paper, books, and magazines. You have a responsibility to protect the information collected from your customers. As corporate data breaches reach epidemic levels, customers are demanding privacy protection. A shredding service helps you build trust with your customers and clients. Trying to fit paper shredding into your busy schedule is a hassle. A shredding service makes it easy to destroy your documents. The collection and destruction of your documents are handled for you, allowing you to focus on important more important tasks. By using a NAID AAA Certified, comprehensive shredding and destruction provider, you gain a comprehensive privacy protection solution for your business. A shredding service offers an easy, efficient and cost-effective way to dispose of sensitive information. You receive a Certification of Destruction each time your information is destroyed. The peace of mind that comes from knowing your information is destroyed securely and in an environmentally sustainable manner is priceless. The Shred Truck provides NAID AAA Certified, HIPAA-compliant, mobile, on-site paper shredding and hard drive destruction services in and around St. Louis, Missouri. For more information, please call us at 314-729-9200 or complete the form on this page.